You must come! If there is a spark that is alive in you, that spark will turn into a flame – Date With Destiny is beyond your wildest dreams. 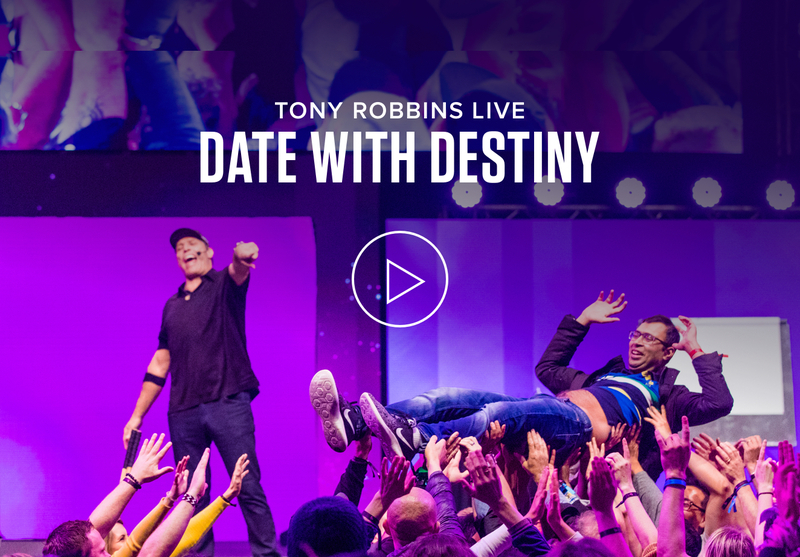 Date With Destiny is an exploration of self-discovery and renewal, and Tony’s most intimate event! Over 6 days LIVE with Tony Robbins, embark on a journey to uncover what truly motivates you. Discover how to reignite passion and how to design the life of your dreams. Make the decision to live life on your terms – your destiny is waiting! It's incredibly powerful!...Date With Destiny is designing your life. You choose the values, mission and approach you want to take in your life with one of the best teachers in the world leading you.